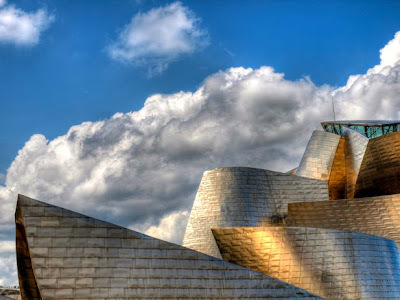 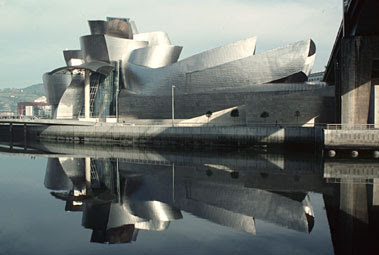 Before designing the Walt Disney Concert Hall, Frank Gehry worked on the Guggenheim Museum in Bilbao, Spain. 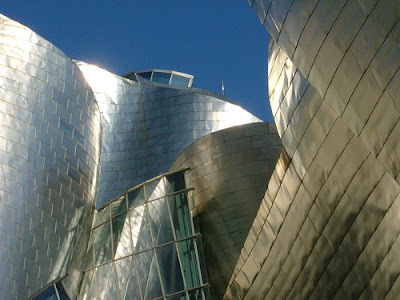 The museum features characteristic organic curves and the use of reflective metal for the surface. 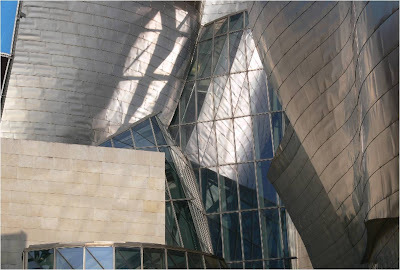 Again, I love the fluidity of the shapes and the building itself is a piece of art. 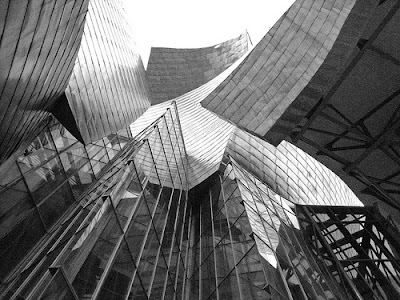 The style of Gehry is very distinct and he puts his mark on all his projects so that you can almost instantly tell it's his work. Whilst some people criticise it to be too "different" to the surroundings, I can't picture a location any of his style wouldn't compliment! 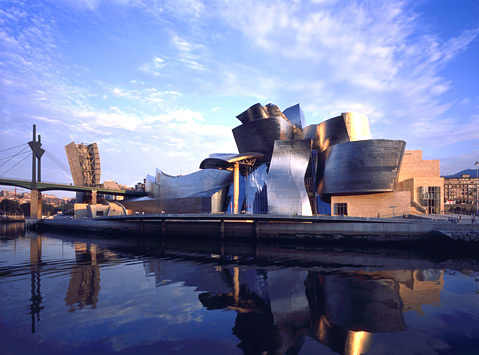 Artists that have exhibited here include Richard Serra, Jeff Koons and Anish Kapoor.